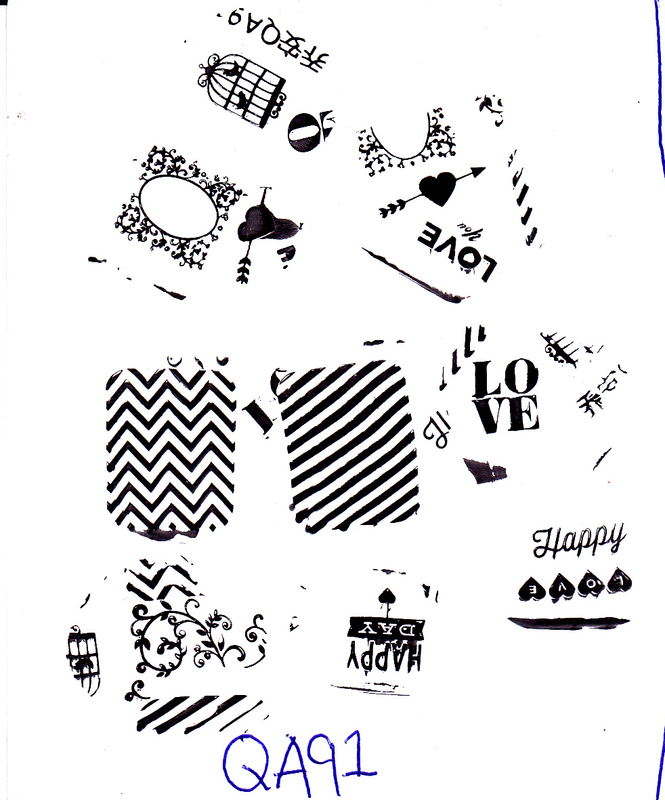 I am fairly addicted to stamping I just want to stamp everything that I put on because it gives me a billion combinations and designs that I can do that no one else will have. Today I have 5 plates to review for you. Please leave me a comment if you have tried these plates too and what your thoughts are. This plate stamped well for me minus a few issues caused by the scraper. My favorite images on this plate are the chevrons stripes and bird cage. The stripes and the chevrons will probably be my most used since I had been trying to do them with painters tape before with craft scissors with some not always good results. 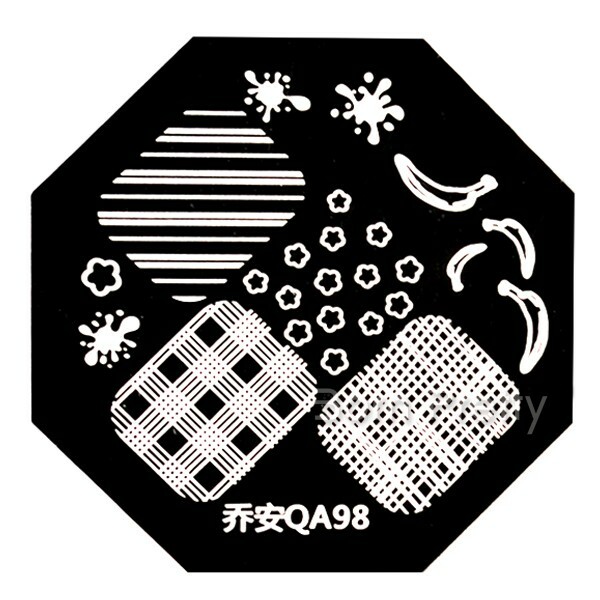 The images in this plate makes me think of lace, and after a failed attempt with a lace mani I really wanted to get some stamping plates with lace design which is where this and QA94 come into play. The images are super crisp easy to pick up and cover my entire nail without issues. One of my favorite plates! As you can see I had a lot of issues with it only picking up partial images. I had not had many issues with plates so I think this is just one bad plate that I have happened upon in my large collection from BPS. I know this plate doesnt look like much with the image above but its another one of my faves from this set of 5. 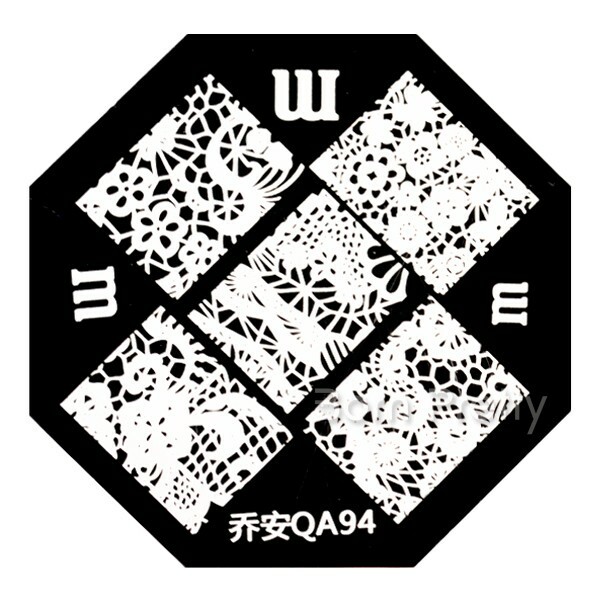 Once its stamped you can see all the intricate lace work on it. The plate gave me no issues and was just as crisp as QA92! I know plaid isn't something many people would want to put on their nails but I think its awesome. I also love the bananas on this plate. 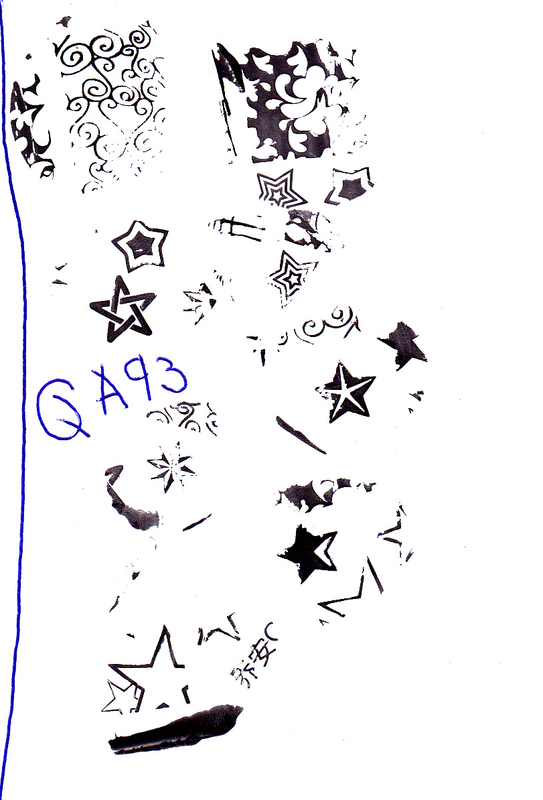 No issues with stamping this one except the stamper I used made the lines come out crooked. 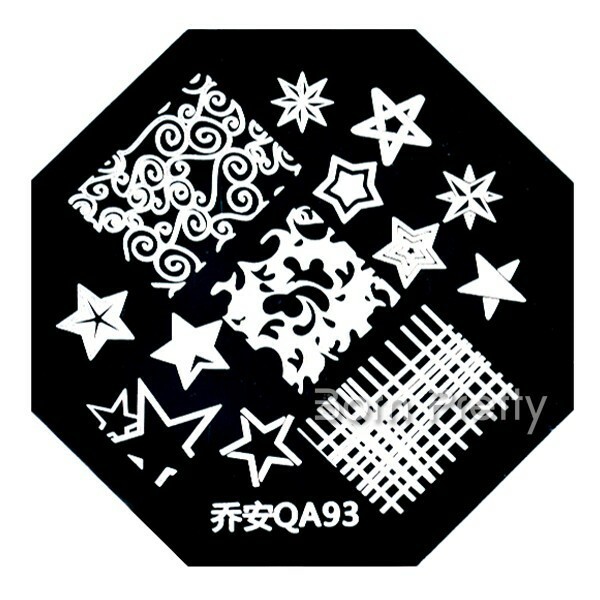 All of the plates were etched well other than the QA93 I received. I have been using plates from many brands and I know no one is perfect and sometimes there is a defect in a plate. This won't stop me from ordering other plates from Born Pretty Store like I have in the past and the customer service is great and easy to work with if you do have any issues. 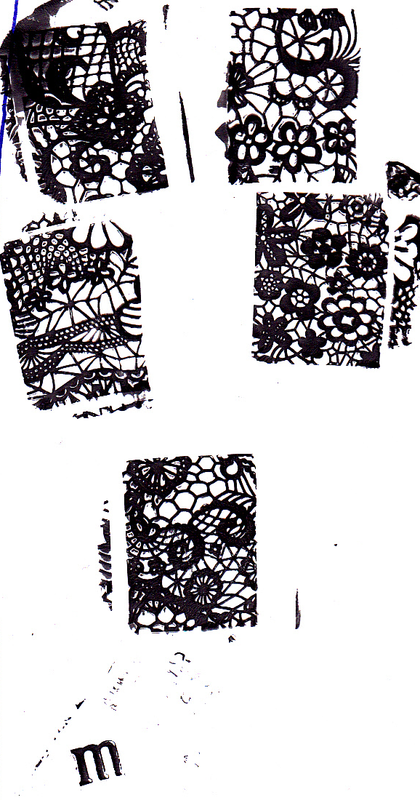 Wither you are a stamping virgin or a stamping god BPS has something just right for you. 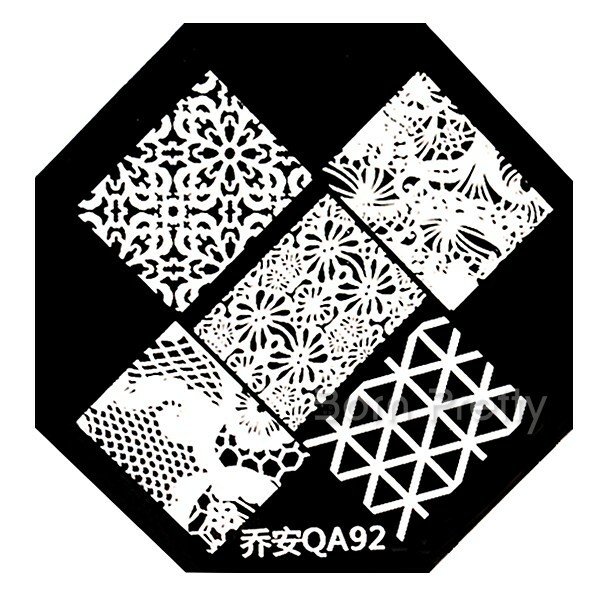 Keep an eye out for all the amazing mani's coming with these stamping plates! 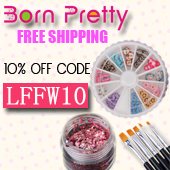 Today you can get the Born Pretty Store plates 20% off or take 10% off your order using our code! Love your blog and all the polish! I think you need to make a video 'how to' on those stamping plates. I don't get how they work. I've been considering that actually! Oh fun! Those look like they'd be good for a clutzy nail artist like me!! LOL! I agree with above commenter- we wanna see a video! I am clutzy too! 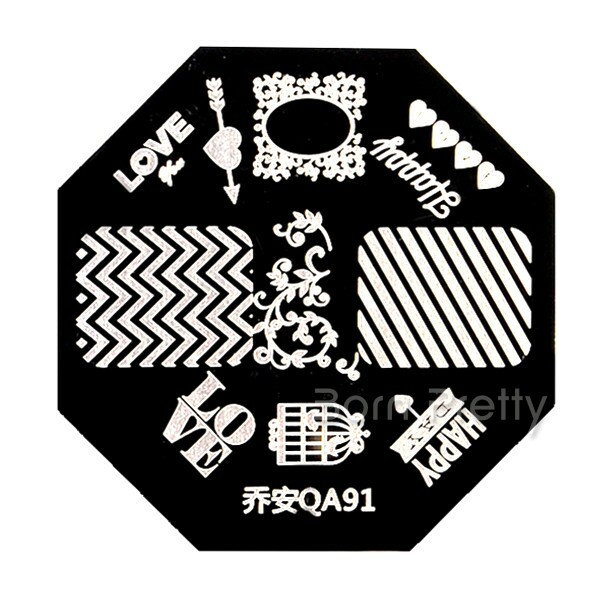 Stamping plates make nail art or manageable for those without all the time to do traditional nail art. Video coming soon! I really love the lace ones! The lace ones are amazing. 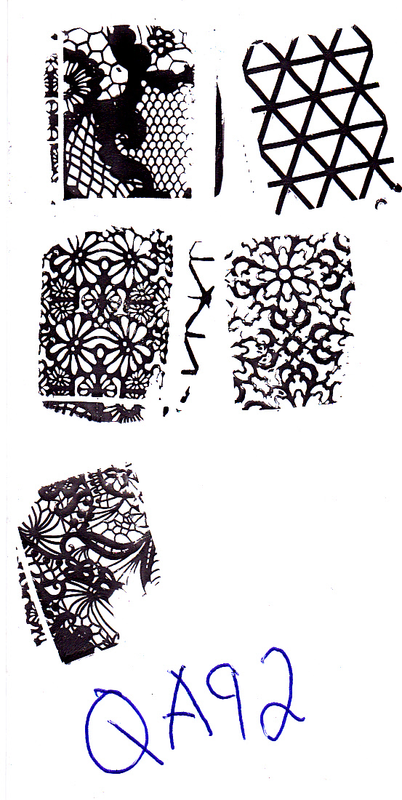 I have tried a few other ways to get the lace look and they failed so I will just stick to stamping. These look fun and lots of great texture.